Skipper (previously The Waggle Company) is revolutionizing the pet care industry by bringing advanced technology and modern experience design to a traditionally low tech industry. Historically, pet care needs have been served by small businesses with minimal tools and traditional customer service channels. Skipper’s founders, Meggie and Sebastian Williams, aim to bring to pet sitting, the technology, transparency, and service design that people have come to expect from the technology sector. The Williams aren’t your typical pet sitters. Prior to founding Skipper, they spent years in management consulting with Accenture and IBM Global Services. The Williams’ shared experience in consulting and their strong appreciation for customer service-centric software applications have driven them to tackle the pet sitting business model from a new angle. Much as applications like Uber and Postmates have altered the way people order taxi and delivery services, the Williams’ hope to change the way pet owners hire care for their pets. In order to learn as much as they could about the industry they’d be disrupting, Skipper began operations with live customers using the software tools currently available on the market and used experience design as a differentiator. After 6 months of operations and rapid growth with real customers, Skipper validated their core hypothesis and moved to invest in technology that will help the company scale to a national presence. Skipper evaluated several software vendors before deciding to partner with Levvel. While many companies can write software or design applications, Skipper was looking for a full service partner they could rely on for strategy, design, development and product management services. Skipper was especially attracted to Levvel’s product innovation approach, which focuses on cross-disciplinary problem solving and iteration. Levvel’s product innovation team helps clients create new digital products and services and improve existing ones. The team consists of strategists, designers, and developers that work together with clients in a cohesive process across all phases of the product development lifecycle. The team’s services include product assessments, strategy workshops, UX design, usability testing, and metrics strategy. For Skipper, the process began with a two day strategy workshop. The goal of Levvel’s workshops is to define an MVP feature set and product roadmap for the upcoming project. The workshop provides an opportunity for the Levvel team to learn about the client’s business and align the client’s stakeholders to a common vision. This alignment minimizes risks for the project as the team refines the vision through design and development activities. Levvel’s cross-disciplinary philosophy mandates that all workshop teams include a strategist, UX designer, and technical architect. This approach ensures that business, design, and technical challenges are all considered when crafting the product roadmap. The involvement of these parties also makes transitions between strategy, design and development work smooth because it minimizes handoffs and communication gaps. In preparation for Skipper’s workshop, the Levvel team shadowed Skipper employees on their pet care appointments. Levvel designers attended 3 appointments each, taking written notes on the pain points, processes, and critical interactions around the petcare appointment. The Levvel team came prepared to the workshop with insights questions they’d gathered during their research. After 2 days of intense, structured activities, the team emerged with an MVP feature set that addressed Skipper’s most immediate concerns, and a product roadmap that synchronized anticipated business moves with technology needs over the coming year. Most importantly, the team formed a strong working relationship that is the foundation of successful projects. Levvel’s development approach is based on true Agile principles. With a cohesive, cross-disciplinary team moving the project forward in an iterative fashion. The combined Levvel/Skipper team created a list of features based on the product roadmap. The team then prioritized and grouped those features so that they could be designed and developed in 3 week sprints. For 3 weeks at a time, Levvel designers and developers worked side by side to design and implement the highest priority features and present them for review by Skipper. After the demo, the team documented and prioritized new features to be accomplished the following sprint. Skipper’s primary pain point was that they were running the business on a 3rd party platform that allowed no control over existing or future features. If Skipper was to grow its business, it had to move to a custom platform as quickly as possible. The 3rd party platform posed an existential risk to the new startup. Levvel focused heavily on prioritizing features and finding the fastest technical solutions to get Skipper on to the new platform. One of the most important changes was in the user experience for both admin and clients. For Skipper, the current system was hard to use and inflexible. Levvel’s team was able to improve the interfaces for all three components required in the MVP, and have created a more intuitive experience for all internal and external users. Another issue was that the current platform’s security controls were not built to support the security needs of a company of Skipper’s size or growth trajectory. Level used its experience working in highly secure environments with financial and healthcare clients to implement a secure system architecture that would protect sensitive company and client data. Skipper also had issues with its administrative dashboard and the appointment scheduling tool. It was very difficult for administrators to manage appointments, such as see the status of appointments at a glance or filter through the appointments. In some cases, Skipper administrators had to manage appointments in a separate spreadsheet to make sure everything was correct. This made scheduling disjointed and prone to errors. To improve these concerns. Levvel built a rich user interface for the administrators that allows them to bring up several different sitters on one page. They can see all the unassigned and assigned appointments in different columns, and when they select an unassigned appointment and a sitter at the same time, they can see availabilities in the sitter’s schedule. The new features also include stronger filtering, such as the ability to filter appointments and sitters by neighborhood zones. In the future, this feature will also include other dynamic capabilities, such as the ability to see distances to and from appointments, and suggestions on how those appointments should be scheduled. Levvel also needed to create a solution that would fit with Skipper’s growth plans for their business. The Skipper founders were consistently asking for new, innovative features that would strengthen the system and make their services more dynamic. While the Levvel team did have to turn down some of their requests in order to stay within the project’s budget and scope, they did strive to create a system infrastructure that could be built upon in the future. With this custom product, Skipper is gaining flexibility to make the system whatever they want, in line with their expanding company, goals, and budget. The development work for Skipper involved two web applications and a native iOS app. The first web application is the client dashboard where pet sitting clients can create accounts, log in and perform actions, including request appointments, check on their pets, manage their account, and make payments. The second web application is the administrative dashboard where Skipper can manage the appointment pipeline. The dashboard tracks new appointments and sitter progress as they move between their appointments throughout the day and surfaces issues, customer feedback, and necessary actions to Skipper administrators in real time. The system makes it easy for new appointments to be scheduled against a variable roster of staff and contractor employees based on service zones and availability. The scheduling tool for the MVP gave SKipper significant visibility to optimize their operations, but the roadmap calls for automated scheduling and predictive analytics as a next step. The third application in the Skipper suite is an iOS app used by sitters see appointment details, such as where a client’s keys are located, or medical care instructions and track the visit itself. The app allows sitters to report the start and end of appointments, upload photos, and GPS track the path taken. This real time data is fed to the dashboard for Skipper administrators to track. At the end of the appointment, clients receive an email notification letting them know the walk was completed. The notification includes photos from the walk as well as statistics such as time and distance and a GPS tracked path the walk took. Both Levvel and Skipper attribute the current success of the Skipper project to Levvel’s cross-disciplinary, product innovation approach. For Skipper, one of the most effective parts of the approach was the kick-off workshop. 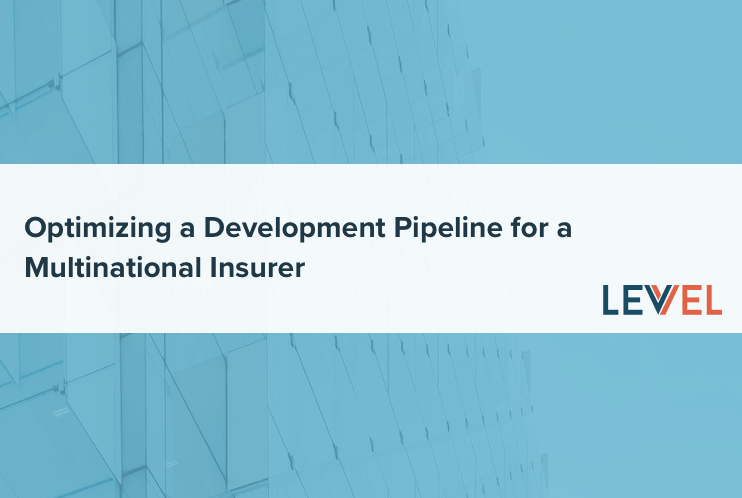 Levvel’s three-day intensive workshop entails more than just building a development roadmap, but involves truly understanding the client and what motivated them to come to Levvel. This means looking at their pain points and identifying the optimal ways to address those pain points. Sometimes, it also entails restructuring their goals for the product. This extensive client analysis created a firm foundation for the Skipper project throughout its lifecycle. The Skipper project was also successful because of the team’s design and development team architecture. There are often strengths and weaknesses in both designers and developers, and many projects can fail without the proper blend of both skill sets. Because Skipper’s product required such a customer-centric and forward-facing approach, a closer relationship between designers and developers was essential to ensure a final solution that was powerful, user-friendly, and visually appealing. Another major factor in this project’s success was the consistent communication and revaluation taken to ensure that the final product is perfectly in line with the initial project goals. This approach has enabled the project to stay within projected timelines and budgets, and enabled all parties to maintain their trust in each other. It also ensured that the system Skipper walks away with is the perfect fit for their current and future company. The Skipper project has been a great success for both Levvel and Skipper. The Skipper team continues to express their trust in the company, and how grateful they are to be working with Levvel. At Levvel, we take pride in the software that we built together with Skipper - most complete, best of breed, pet sitting software in the world today. Most importantly, we feel privileged to have built such a strong and positive relationship with a visionary and innovative client. We combine industry-expert strategy with human-centered design and world-class engineering. Our team is made up of leaders, thinkers, designers, and builders whose collective experience spans many industries and companies of all sizes. We’re avid fans of technology but even bigger fans of solving business problems. An understanding of the difference between an idea and a solution is just one of the things that sets us apart.